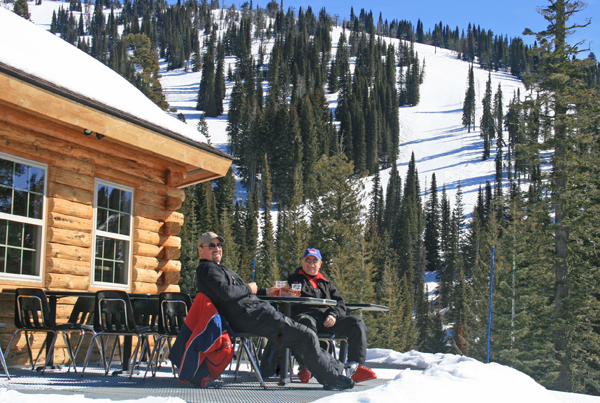 The charming mid-mountain refreshment center is a great place to satisfy your hunger and thirst while staying close to the slopes and away from the crowds at the lodge. The new menu at the Bear’s Den features zesty meatball sandwiches, hearty Chicken n’ Waffles, toasty Mac & Cheese and more. It’s the perfect place to rest those legs, warm up and gear up for more fun on the runs. The Bear’s Den is also a great spot for a midday break – relax and enjoy the big game on one of our big screen TVs or soak up some rays and enjoy the view from our deck. Insider’s tip: Parents have come to love the Bear’s Den as a place where they can relax and refresh while still keeping an eye on the kids as they rip off a few extra mid-mountain laps.